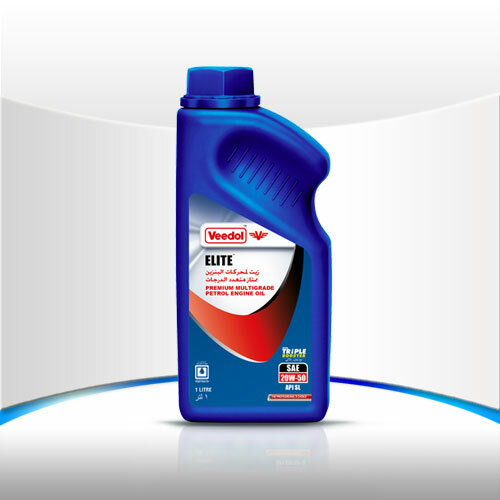 Veedol Elite engine oil is formulated from premium quality virgin base oils to bring out the best engine performance of new and older passenger vehicles. It provides excellent sludge and deposit control. A robust anti-friction additive helps protect the engine parts on cold starts and resists oil degradation throughout the recommended oil drain interval. Premium quality petrol engine oil with high thermal anti oxidation stability. Unique detergent-dispersant additives system keeps all contaminants in micro suspension to achieve high engine cleanliness and optimum fuel efficiency. Recommended for vehicles having turbocharged/naturally aspirated fuel-injection and also suitable for diesel engines. Processed from premium quality virgin base oil.